In 2001, Dutch rider Servais Knaven led a clean sweep for the Domo-Farm Frites-Latexco team at Paris-Roubaix. 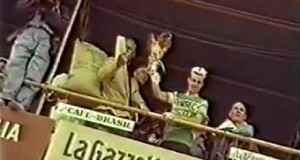 Knaven soloed to victory with team mates Johan Museeuw and Romāns Vainšteins finishing 34” and 41” behind him respectively. 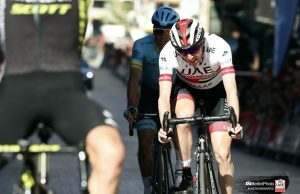 It marked the biggest win in Knaven’s long career in which he also won the Dutch Championships, Scheldeprijs and a stage of the Tour de France amongst other races. 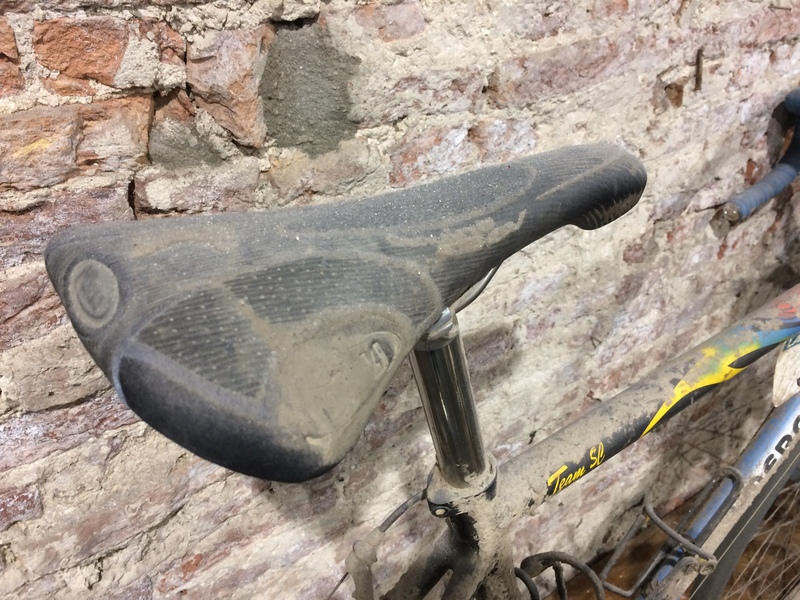 The 2001 edition of Paris-Roubaix was run off in extreme conditions which saw just 55 riders make it to the velodrome in Roubaix. 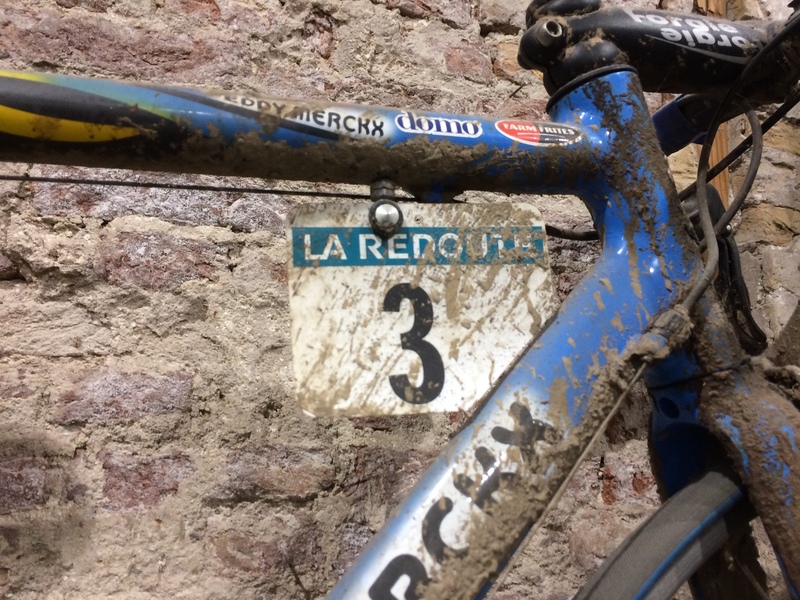 The riders faced heavy rain and wind resulting in numerous crashes on the slick cobbles. Domo-Farm Frites were in control for much of the day with Wilfried Peeters attacking early on. When he was reeled back in, other riders tried to go clear including Stefan Wesemann, Ludo Diercksens and Leon van Bon but the Domo team had strength in numbers. 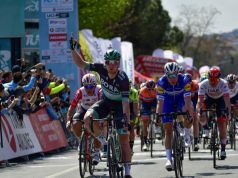 When Knaven went clear with 10 kilometres remaining, nobody followed and the Dutchman quickly gained a lead of over 20” in three kilometres. 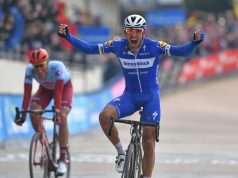 He increased this in the final seven kilometres to take the win in the Hell of the North. Unlike other races where the team mechanics work hard long into the night meticulously cleaning the bikes, Chris van Roosbroeck elected not to touch Knaven’s race-winning bike. 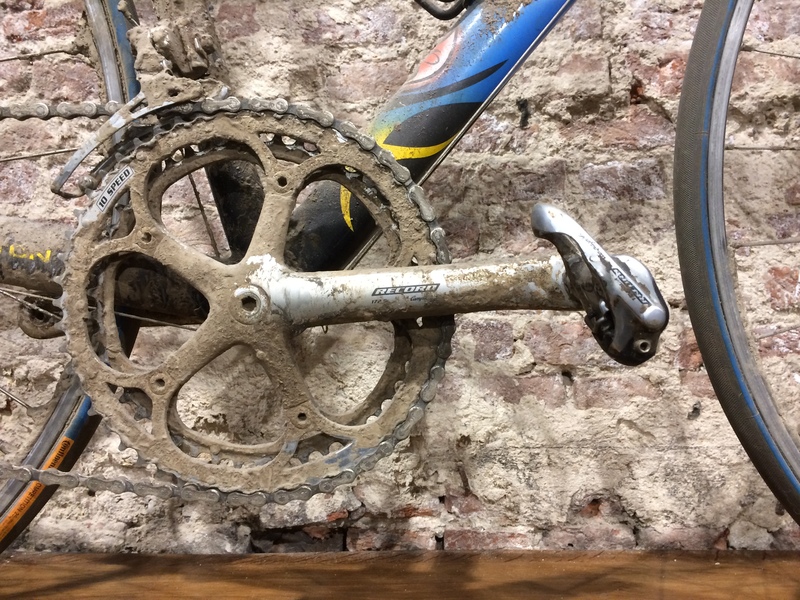 The mud-encrusted Eddy Merckx machine with Knaven’s race number still attached is now displayed in the Rapha store in Amsterdam alongside Knaven’s jersey from the day. 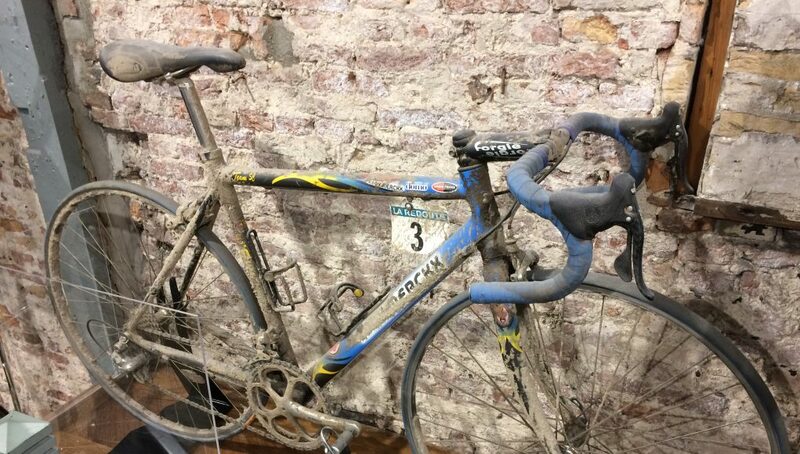 The Team SC really does show the conditions the riders faced that day with mud caked all over the Campag equipped bike. 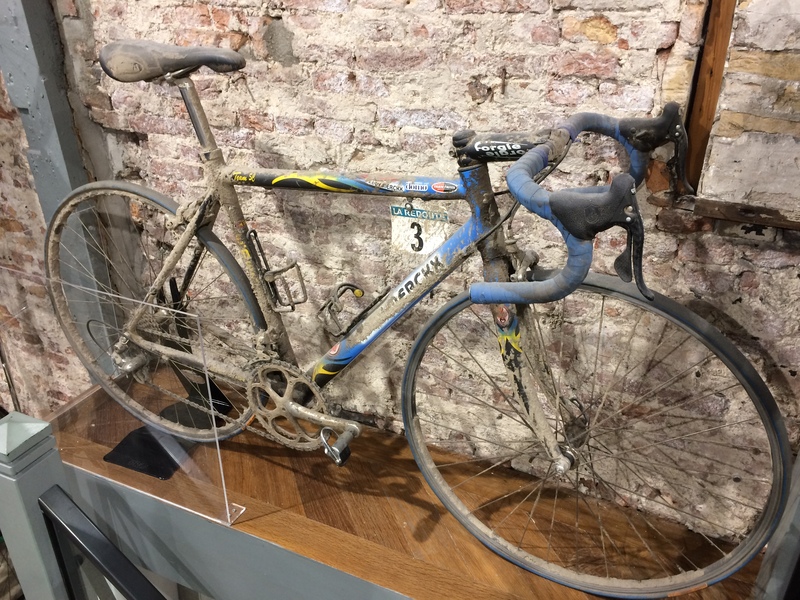 After his retirement, Knaven started working for Team Sky and it was through the team’s links with Rapha that his bike ended up in the Amsterdam store.